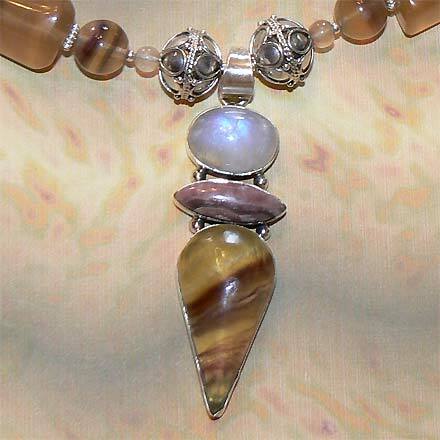 Sterling Silver Fluorite, Moonstone and Rhodochrosite Necklace. See Closeup. 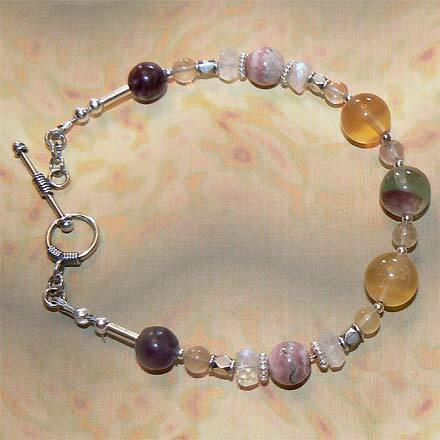 Sterling Silver Fluorite, Moonstone and Rhodochrosite Bracelet. 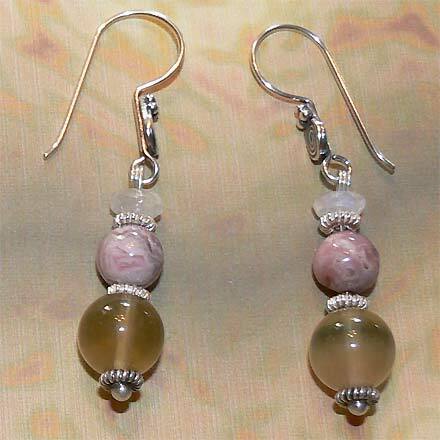 Sterling Silver Fluorite, Moonstone and Rhodochrosite Earrings. 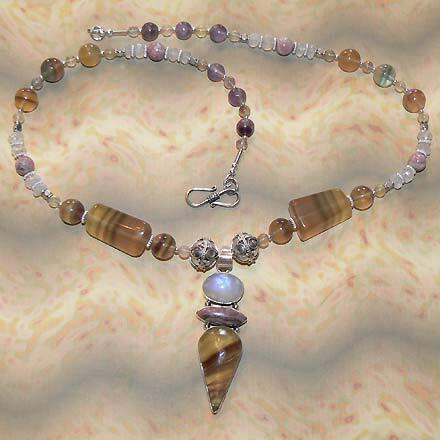 Gorgeous chunks of candy-striped yellow, green and purple Fluorite, pink Rhodochrosite and Rainbow Moonstone with blue flashes. Almost every color of the rainbow! For those who are interested in Astrological significances of stones, Moonstone corresponds with Cancer and the month of June, and Rhodochrosite corresponds with with Leo and Scorpio.